We want to update the floors in our living room (currently its an old, worn-out carpet), and went to a bunch of different flooring shops and showrooms to check out our options and prices. We are debating between installing a new carpet or going for a hardwood floor. The A.J. Rose Carpets & Flooring showroom we visited is over 70,000 sq.ft. and over 75% of the floor space is taken up by carpet displays. According to the store manager, about 80% of their sales is carpet! 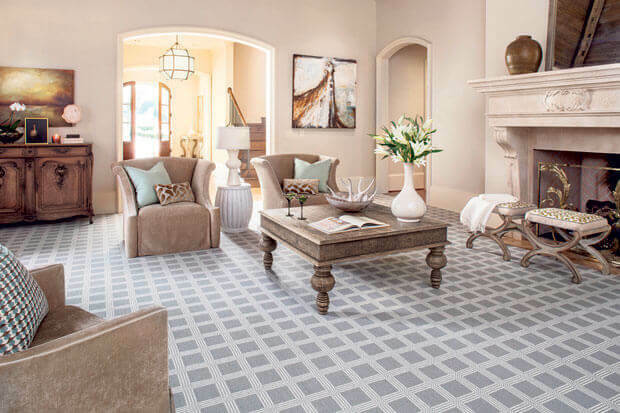 Today, carpet flooring is available in wide range of materials and literally countless color and design patterns. There are many options that would be a great fit for any space, from a rental apartment to a high-end home. Prices are also very spread out, and there is something for every budget. 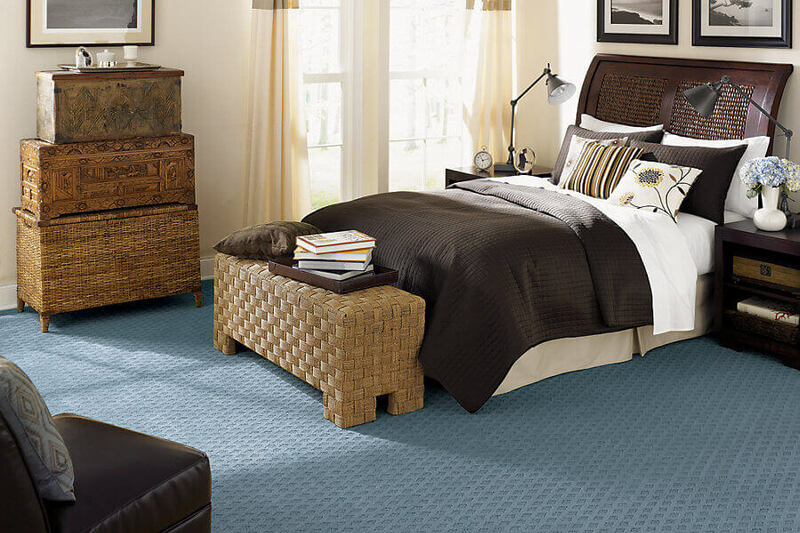 Here are up-to-date carpet flooring material and installation costs, to help you get started. How Much Does Carpet Flooring Cost? As with any building material, the cost of carpet itself, depends largely on the quality of material, design and brand name. 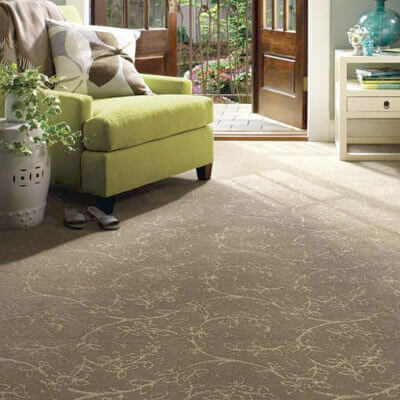 You can get a basic, rental apartment – style carpet for as little as $2.5-3.5/sq.ft. installed (includes material, padding, installation and removal of old carpet). This amounts to $360-504 for a 12×12 size room. Decent quality carpet flooring costs around $4-6/sq.ft. installed This amounts to $576-864 for a 12×12 size room. However, better grade/designer carpet costs on par with hardwood or stone tile: $5-9 and up just for materials. At the very high end of the price spectrum, designer carpet flooring can cost as much as $25-30 sq.ft. for materials. You also need padding under your carpet. Typically, its included in the total cost, but if its not, expect to spend $2-6/sq.yard. Keep in mind that the quality and thickness of padding can vary (when pinched, padding should NOT compact more than 1/2 its original thickness). It is best to spend extra on good quality padding, as it will help prolong the durability and longevity of your carpet. When calculating the total amount of carpet you will need, its best to add an additional 5% to the total square footage to account for trimming. This means that you will need to multiply the total sq.ft. by 1.05. This additional material will also increase the final cost. Also, keep in mind that many carpets are sold by the square yard, NOT by sq.ft. To convert sq.ft. in to sq.yard., divide sq.ft. by 9. This will help you quickly calculate pricing when shopping online or in store. On average you can expect to pay $2-6/sq. yard and up for installation alone (for a rectangular or square room with no additional corners or angles). The price will vary depending on where you live, the type of carpet you are installing (high-end and Berber carpets often have an installation up-charge), and whether the room has an odd shape that would require extensive cutting of the carpet. Installing carpet over stairs also costs extra. Moving furniture: if you need furniture moved out and into the room, expect to pay $1-2/sq.yard for this service. Repair of the sub-floor: before you install new carpet, make sure that your sub-flooring is in good condition. If its not, you need to repair it and install new plywood. A carpenter charges $60-75/hr for this work. 1. Olefin (polypropelyn): this is the lowest quality synthetic fiber and is therefore the cheapest. These carpets have good stain and fading resistance, but will show signs of wear and tear very quickly. Prices start as low as $2-5.5/sq.ft. installed. 2. Polyester: another budget friendly synthetic material. Polyester carpets offer resistance to bleaching, fading and water-based stains. However, they come in a limited variety of colors and styles (because they must be solution-dyed), and don’t have good elasticity, like nylon. Prices are around $2-7/sq.ft installed. 4. Wool: this is the highest quality, natural fiber. It offers superior longevity and durability, hides soiling, is easy to clean, and is naturally flame retardant. Designer and hand-made carpets are typically made of wool. Prices range from $6-30 sq.ft installed, but can be a lot higher depending on the quality and design. 5. Silk and Linen: these natural luxury fibers are often added to high-end wool and nylon carpets. They create unique and beautiful visual effects, but also greatly increase the total price. In the world of carpets, brand has an impact of the price. If you are on a tight budget, we recommend checking out carpet flooring selections from brands known for their moderate pricing. Economy Brands: the two top companies are Stainmaster and Smartstrand. Most of their products are in the $1.50-5 sq.ft. price range. Mid-Range Brands: large popular companies with a huge selection are Shaw and Mohawk. The majority of their carpet flooring is the $3-10/sq.ft. price range. Designer/High End Brands: famous companies are Masland and Fabrica. Their prices start at $6-8/sq/ft. and go up to as much as $30/sq.ft.